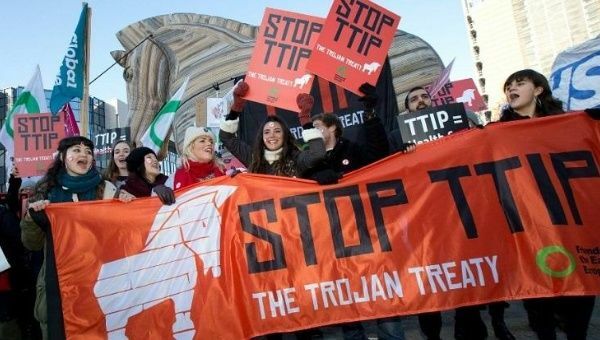 A Friends of the Earth activist said politicians ignoring public outcry about the TTIP will only strengthen opposition to the deal. After the European Parliament approved the controversial Transatlantic Trade and Investment Partnership on Wednesday, civil society organizations and social movements have again expressed widespread concerns about public health, the environment, and other issues to be impacted by the deal. The EU body gave the green light to the much-debated deal, despite having called for the TTIP’s U.S.-supported investor-state trade dispute mechanism be replaced with a different system. Splatoon Clothing Is Now A Thing… Do You Want It?